Place all ingredients except chopped thyme in labeled 1-gallon freezer bag. Lay flat, and freeze up to 3 months. Pour contents of bag into 6-quart slow cooker. Cover and cook on Low heat setting 6 to 7 hours or until potatoes are tender when pierced with a paring knife and pork shreds easily. 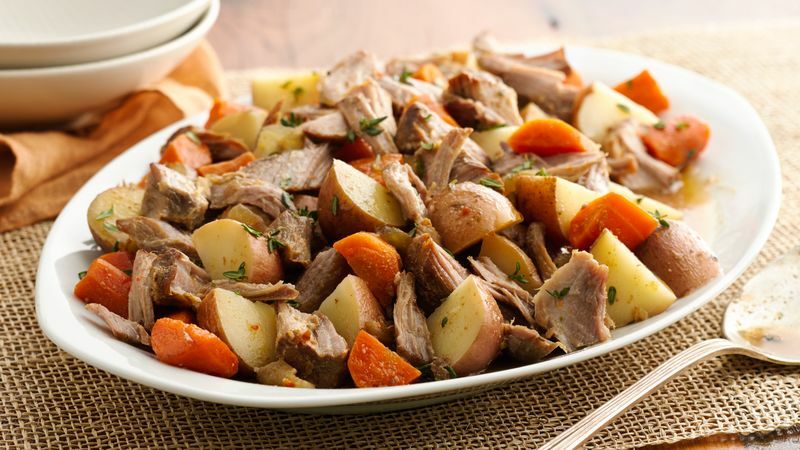 Shred pork, and quarter potatoes. Divide mixture among 8 bowls, and sprinkle with chopped fresh thyme leaves. Like it hot? Double up on the red pepper flakes to add a little zip to your roast. Pick potatoes that are similar in size for even cooking.